At Vivitek, our range of collaboration, projection and digital signage products are world class. 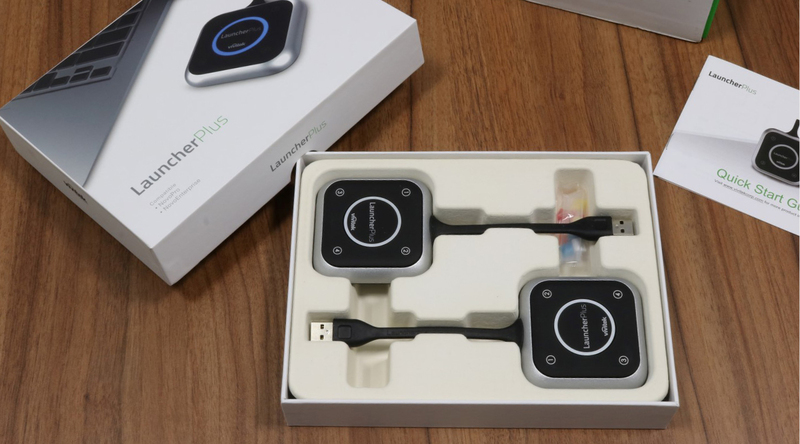 But, you don’t have to take our word for it – in this guest post, Polish Vivitek distributor Vidis describes unboxing and testing LauncherPlus, a USB adapter compatible with our NovoConnect line of collaboration solutions*. We’ve long awaited the official premier of the new Novo LauncherPlus modules. The period between the first announcement and the final product launch hasn’t been the shortest, but Vivitek has assured us that all this time was devoted to refining both the device itself and the software. Just for you, we’re now testing the latest offering from the Vivitek NovoConnect solutions. 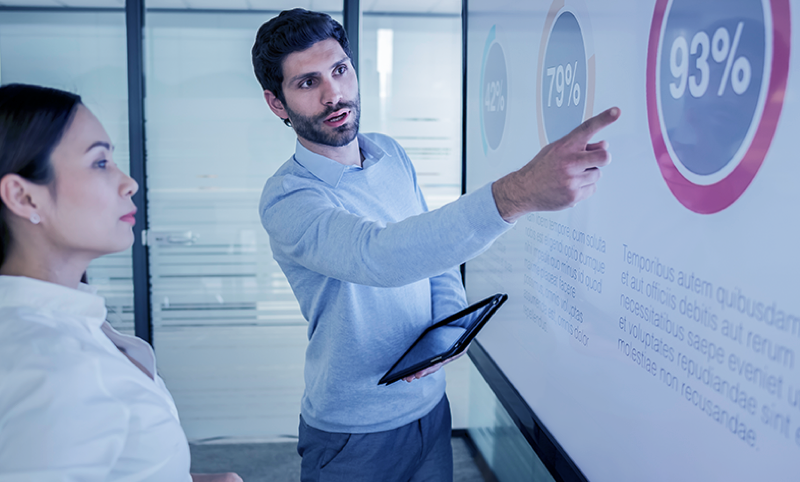 Just to remind you – LauncherPlus is part of the NovoConnect system for wireless video streaming and collaboration in conference rooms. The manufacturer is Vivitek, the collaboration brand of Delta Electronics. The Novo product family has been on the market for two years and its portfolio includes both main modules – such as NovoConnect, NovoPro, and now the newest NovoEnterprise – and useful accessories such as USB Launcher modules. The LauncherPlus version extends the range of Novo product accessories by adding USB modules equipped with Wi-Fi. If you are looking for more basic information and uses for Novo products – take a look at the animation, which will explain the principles and uses of this system. 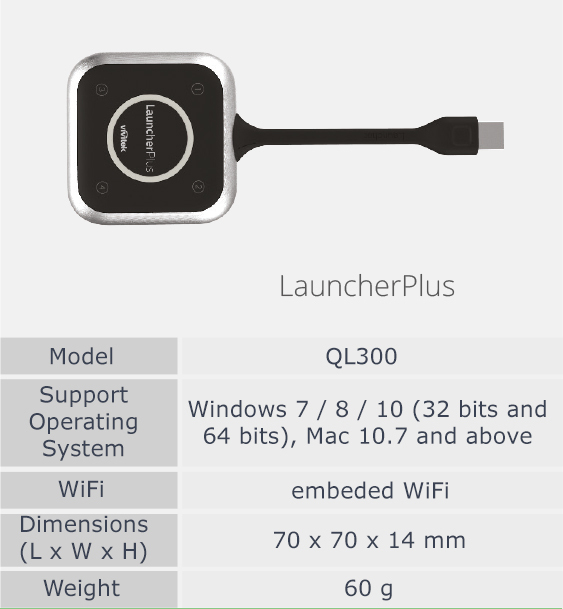 LauncherPlus is a USB module that allows for the wireless transfer of images from a Windows or Mac computer to the NovoPro or NovoEnterprise system. This is in turn connected via HDMI to a display, which could be a monitor or a projector. 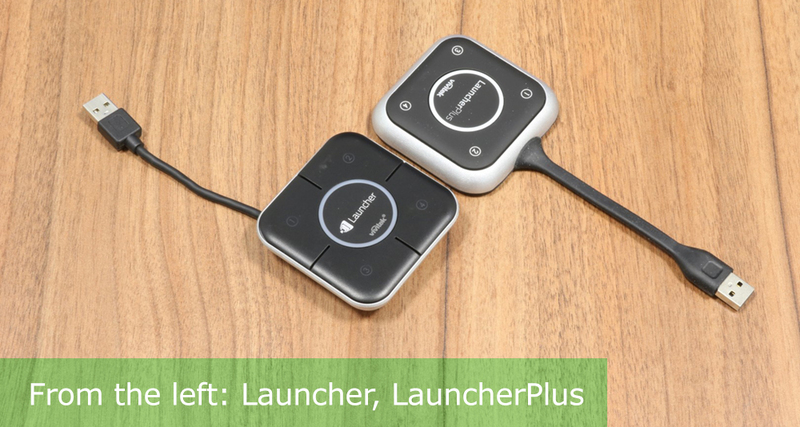 Compared with the Launcher model (without Plus), the new version comes with a built-in Wi-Fi module that allows for a direct connection between LauncherPlus and NovoEnterprise or NovoPro, without the need to use a module built into the laptop. This allows the user to be connected to the NovoPro and another Wi-Fi network at the same time. This improves connection speed, and therefore the quality and smoothness of the displayed material. The new LauncherPlus modules are accessories for products such as NovoPro and NovoEnterprise, so the box contents are not extensive. Most importantly, it comes in a set – in the basic version, the modules are sold in sets consisting of two units. For comparison, in the basic version, Launchers were sold in sets of 4 pieces. What is there besides the devices? The LauncherPlus is a neat USB module (the dimensions of 70 x 70 x 14 mm and a weight of 60 g speak for themselves) with 5 buttons on the top of the case. The plastic housing has a matte finish and makes a very good impression. It is enhanced by its aluminium finish on the device frame. This makes the LauncherPlus a solid device, not only in appearance but also in terms of its use. The flexible USB cable is a good solution, especially when the module itself or the laptop to which it is to be attached need to be moved. Plus, if the cable gets in the way, you can “hide” it under the device; thanks to the magnet, the USB plug will stick to the bottom. To start using these devices, you need to pair them with a base module, which could be a NovoPro or Novo Enterprise. How do you do this? Simply connect LauncherPlus to the USB port on the NovoPro/Enterprise housing. If you’re using Hotspot mode (in which the NovoPro/Enterprise creates its own Wi-Fi network), you just need to wait a few seconds. If you want to integrate the Novo system with your existing network, you’ll need to enter a password. The password can be entered using the remote control or by connecting the HID keyboard after connecting the USB hub. After pairing, the device is ready for use – when plugged into a USB port, it will start wirelessly transmitting video and audio content. It is worth adding that the first (and only the first) time you connect LauncherPlus to a new computer, you will need to “manually” start the Desktop Streamer software. How do you do this? LauncherPlus is detected by the computer in the same way as a USB pendrive – just go to the Launcher pendrive and launch the program “Launch Novo.exe”. Now you’ve done the hardest part. How do NovoPro and LauncherPlus work in practice? First of all, this solution resolves the age-old problem of cables in the conference room. HDMI and VGA cables, as well as mini-jacks sometimes lurking under and on the table, are a nightmare when dealing with a large number of conference users. 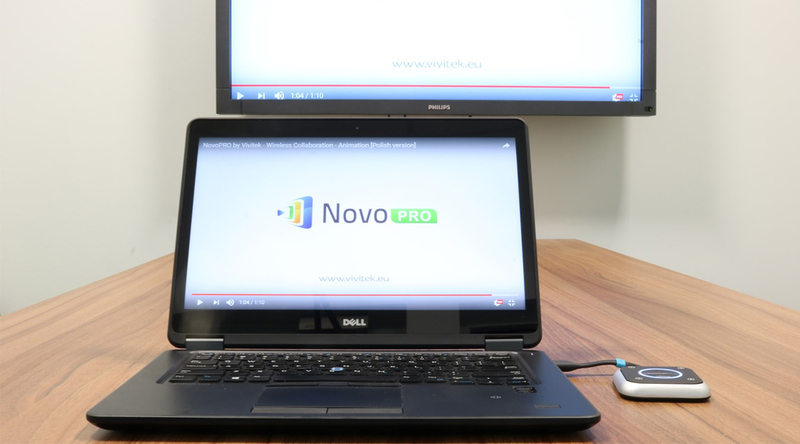 In contrast, we have the Novo and LauncherPlus solution, where a small module connects to the computer’s USB port to allow the wireless transmission of video and audio content to the monitor screen or to be displayed via a projector after a few seconds. The question that most often comes up in the context of this type of solution is the quality and smoothness of the displayed image. Novo products use Wi-Fi to share data. This has certain advantages – simple configuration and the option to display images from devices without using Launcher (including Android and iOS mobile devices); but, due to low bandwidth and sometimes low signal stability, it raises concerns about the quality and smoothness of the images. How does LauncherPlus work? In terms of quality, it’s simple – the image is displayed in Full HD resolution (lower resolutions are also supported). This resolution is a ubiquitous standard and guarantees a high level of detail. The image quality when displaying photographs, presentations, reports or web pages is no different than the image quality from a cable connection. In terms of smoothness, you need to consider the delay. If the image on the laptop screen is “cloned” to a TV screen using LauncherPlus , there will be a noticeable delay between what appears on the computer screen and what appears on the TV. This is not a big difference, but it rules out Novo products as an image transfer solution for activities such as games. The number of frames per second displayed in standard mode is high at 15-25 (depending on the quality of the connection). You can watch a short promotional film or trailer, but watching full-length films will not be comfortable. Does this rule out Novo for situations where you often need to watch footage or YouTube, for example? No! Vivitek has implemented a dedicated video mode in Desktop Streamer that allows you to select a file on disk on your computer or paste a link to YouTube, for example, and after a while get a Full HD quality image at up to 60 frames per second. This is a very good solution that will definitely find its place on the market. 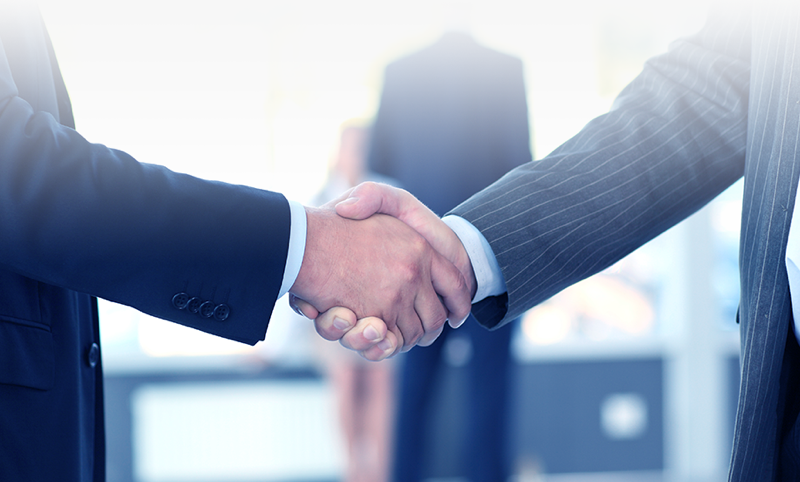 So what makes Novo solutions stand out on the market? First of all, its additional functionalities such as film mode, voting tools (useful when there are a number of participants in the room) and its versatility (Launcher modules are optional, you can connect directly). Price is also important: Novo is an extremely competitively-priced solution within its sector. Please ask our sales department for more details.